A migraine isn’t just any headache. A migraine is a severe type of headache with an intense throbbing, often accompanied by nausea and extreme sensitivity to light and sound. Anyone who has experienced this knows a migraine is debilitating. Sometimes medications work, and sometimes they don’t – it depends on the person and the cause of the migraine. So what can a migraine-sufferer do? Be proactive and try to address any nutritional deficiencies in your diet that may be making the issue worse. The best way to identify nutritional deficiencies is to test, not guess. Deficiencies of folic acid and B-12 cause pernicious anemia (a decrease in red blood cells that occurs when the intestines cannot properly absorb vitamin B12). When severe enough, it can trigger migraines as a symptom, in addition to fatigue, memory loss and irritability. A study in the European Journal of Neurology reported that high doses of vitamin B2 may help reduce the frequency of migraine attacks. However, more research is needed because not all studies have found vitamin B2 to be effective. In one study, taking folic acid, vitamin B12 and vitamin B6 reduced migraine disability (by lowering homocysteine levels). 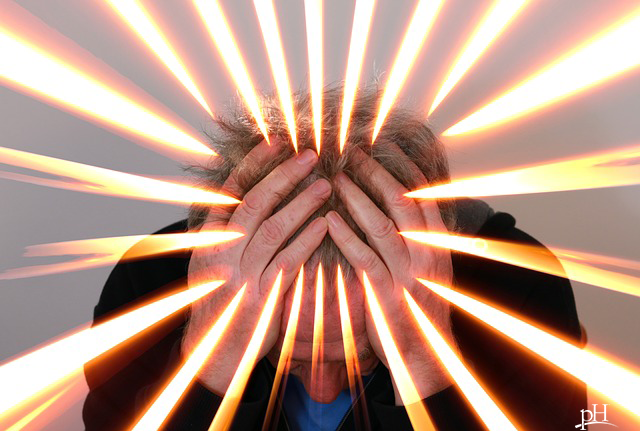 Some research has shown that vitamin D deficiency is common among migraine sufferers. There have been patients whose migraine symptoms improved with vitamin D, the American Headache Society reports, possibly because of vitamin D’s ability to increase magnesium absorption. A group of 3,000 patients given 200 mg of magnesium daily had an 80 percent reduction in their migraine symptoms, according to research by Dr. Alexander Mauskop, director of the New York Headache Center, along with researchers Drs. Bella and Burton Altura. These researchers also noted that migraine sufferers with low magnesium ion levels who were given intravenous magnesium experienced complete relief from their symptoms. When you have low levels of magnesium, it can’t do its job of counteracting the clotting action of calcium on the blood. This leads to tiny clots clogging up the brain blood vessels, resulting in migraine pain. Magnesium also helps relax head and neck tension. If you are living with migraines, be proactive and find the root cause, so you can enjoy your life pain-free. Start with nutrition testing (covered by most insurances) to see if there is an underlying deficiency that is either triggering your migraines or making them worse.